The campaign to bring the Baby Trump balloon to the US was started by grassroots activists in New Jersey. We were inspired by the creativity of the Trump Babysitters in the United Kingdom and the Trump Baby balloon that flew over London in 2018. It was such an impactful visual image of the tweeting child in the White House we knew it had to cross the pond and come to the US. of $4,500 to total nearly $24,000 after just 72 hours. Not wanting to overextend ourselves, we deactivated the campaign and began putting the Tour together. With the extra funds we were able to purchase a total of six balloons, increasing the number of locations that Baby Trump could visit. 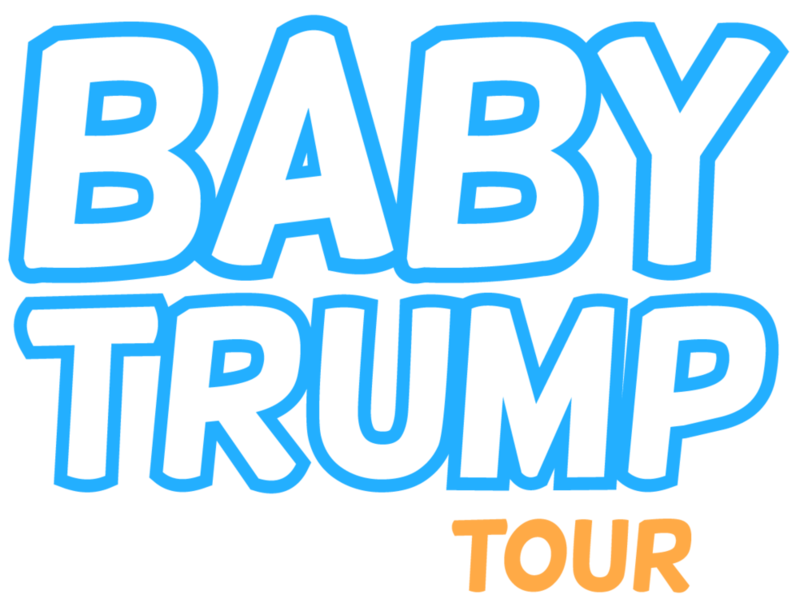 Our plan is to run the Baby Trump Tour until the big baby himself is out of office. Baby Trump either for a short visit or an extended stay, please fill out the forms on our page to start the process. Our Babies are lonely and in need of good parents that will show them off.